Specifically designed to prolong and enhance the results of hair colouring, the Color Infuse range by Joico helps to increase colour vibrancy and shine for colour rich and gorgeous hair. Full of revolutionary ingredients it features the Multi-Spectrum Defense Complex which helps to lock in colour for lasting results. In addition, the Bio-Advanced Peptide Complex delivers care from the root-to-tip allowing for protection, frizz-fighting and shine in every use. 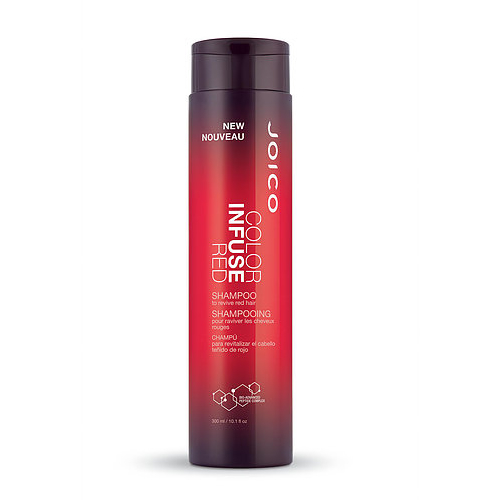 Suitable for colour treated or natural hair in any shade of red.